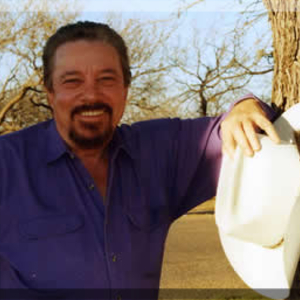 Curtis Potter has become a legend in Country Music focusing his career on the great Texas Dance Hall music featuring Honky Tonk standards and Western Swing favorites. Curtis was born in Cross Plains, Texas. His talent was discovered early in his life and he became a regular featured act on local television in Abilene, Texas. ?The Bill Fox Show? featured local and regional talent and Curtis became one of the most popular entertainers on that program. At the age of 16, Curtis was given his own television show and was also a regular feature on the ?Slim Willet Show. Curtis was born in Cross Plains, Texas. His talent was discovered early in his life and he became a regular featured act on local television in Abilene, Texas. ?The Bill Fox Show? featured local and regional talent and Curtis became one of the most popular entertainers on that program. At the age of 16, Curtis was given his own television show and was also a regular feature on the ?Slim Willet Show.? Slim had garnered a hit with ?Don't Let The Stars Get In Your Eyes.? Slim also took Curtis on several personal appearances helping to get his foot in the door on the Texas Dance Hall circuit. In 1959, Curtis joined the Hank Thompson show. Hank was impressed with the young vocalist and invited him to front the Brazos Valley Band and play bass guitar for him. In the 13 years that Curtis was with Hank, he traveled all over the United States, Europe, the Far East and even a much sought after Carnegie Hall appearance. Curtis's first major hit was ?You Comb Her Hair Every Morning.? That song would gather enough attention to become the catalyst of a forty year recording career. In 1973, a shuffle beat record titled ?Walkin' Talkin' Breathin' Case of Sorrow? was released by Curtis to great reviews. It was followed by a Texas Dance Hall album with Darrell McCall and Ray Sanders. In 1978, Dave Franer signed Curtis to Hillside Records releasing two very successful projects. In 1984, Curtis helped to form Step One Records in Nashville. The label would become the largest independent in the world releasing projects on Gene Watson, Ray Price, Kitty Wells, Hank Thompson and Clinton Gregory. Curtis and Willie Nelson had a number one video on the label in 1995. ?Turn Me Loose And Let Me Swing? was taken from the album ?Six Hours At The Pedernales and teamed Curtis and Willie singing an album full of great classics and new favorites. Curtis then recorded for a couple of live projects and a ?Best of? album for Southland Records before moving to Startex Records. ?Walking On New Grass? was released on Startex and was produced by Jim Loessberg. In 2005, Curtis signed with Heart of Texas Records. Three very successful projects have followed including ?Them Old Honky Tonks? ?Chicago Dancing Girls? and ?Down In Texas Today.? These projects prove how great music and the voice of Curtis Potter is still sought after today. ?We are honored to have Curtis on Heart of Texas Records,? President Tracy Pitcox said. ?Curtis fits exactly into what we are doing at the label-providing great traditional Country Music to an audience that is hungry to hear it.? After successful heart surgery in early 2006, Curtis is back on the road entertaining his legion of fans. He enjoys singing his brand of Country Music in concert halls, auditoriums, dance halls, honky tonks and anywhere steel guitars and fiddles can be played. Curtis Potter has proven that a career can be made out of great talent and perseverance in the Country Music industry.